Spending some quality time outdoors is a great activity – for families, for couples, for friends or even for loners - the beauty of nature, the fresh air and the exercise is a recipe for good health and good spirits. If you happen to be planning a day out, you'll probably want to bring along some supplies. Perhaps a picnic for sandwiches and teatime, maybe some camping equipment if you plan to sleep under the stars, a first aid kit should trouble arise, and maybe some two-way radios to keep in touch on the move. Let's take a look at a few of our favourite places to spend some quality time hoofing it! Okay, so we've never seen a lizard on or anywhere near this peninsula, but we have seen some of the most amazing coast line England has to offer. Dotted with sub tropical plants, carved out by caves and inlets, the coast line runs long and lush in a verdant green for as far as the eye can see. Walking along the border of the ever-churning Celtic Sea is always a thrill, taking in the fresh sea air and finding a path among the many trails. 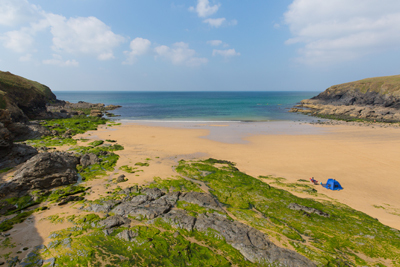 The Lizard Peninsula is perfect for a brief day trip, a few day outing, or a serious hike. It makes up a small part of the over 900 kilometre South West Coast Path which a serious expedition might seek to tackle. Something of a rite of passage for hikers in Scotland, West Highland Way is an intriguing study in the contrasts of the incredible natural beauty of Scotland and the impacts of modernisation. Not too far from Glasgow, the trail stretches through city suburbs, winding through forests and flat lands and the bleak but beautiful Rannoch Moor to the craggy mountains of the Devil's Staircase. Eventually, the path terminates having delivered stalwart travellers to the feet of Ben Nevis (Pictured top) – the highest mountain in the British Island. West Highland Way spans about 152 kilometres in total. It is frequently a hike of choice for visiting hikers who want to get a feel for the Scottish Highlands, but is always a breath taking adventure even for seasoned veterans of the trails. 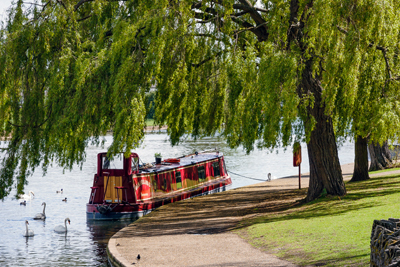 While the river Thames might invoke images of stately London in most peoples minds, the river is actually a vast expanse which makes its way through a variety of English landscapes. The 296 kilometre Thames Path runs along the river and gives hikers a chance to experience the variety of landscapes and even glimpses at major cities such as London. Most of this long National Trail is through beautiful parts of classic England countryside. Definitely a beautiful route, this is more of a holiday than an adventure. A nice trail on which to stroll along for a few kilometres or to take a few days walking tour along the banks of the Thames. This entry was posted in Advice on 29/10/2014 by Max.